Our new report puts self-directed investment opportunities in perspective to improve your retirement strategy and help you save for retirement. The improving US real estate market and growing interest in self-directed retirement savings plans present an opportunity for people saving for retirement. This report puts the opportunity in perspective. For more than 35 years, Entrust has been an acknowledged authority in self-direction. Entrust strives to provide personal, professional services and education that empowers clients to control their investment choices. You can rely on The Entrust Group for up-to-date education about self-directed alternative investments with IRAs. Our reports, webinars, and live events can help you keep up with increasing demand to diversify your portfolio. 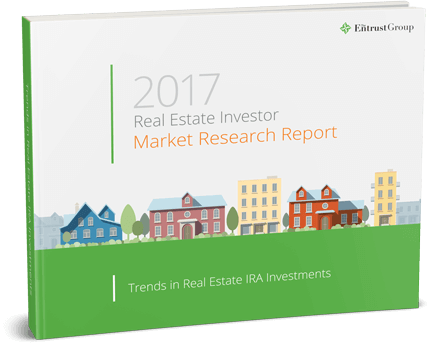 Real Estate IRAs are a convenient and effective way to diversify your portfolio, and Entrust makes it straightforward and easy.